Product #32309 | SKU ATM510 | 0.0 (no ratings yet) Thanks for your rating! The Audio-Technica ATM510 Cardioid Dynamic Handheld Microphone is versatile, rugged and sonically ideal choice for vocal performances, general speech and even instrument capturing. The ATM510 features a cardioid polar pattern for flexible positioning and minimal noise, a neodymium rare-earth transducer for high output and multi-stage grille for maximum protection against plosives (pops) and sibilance. 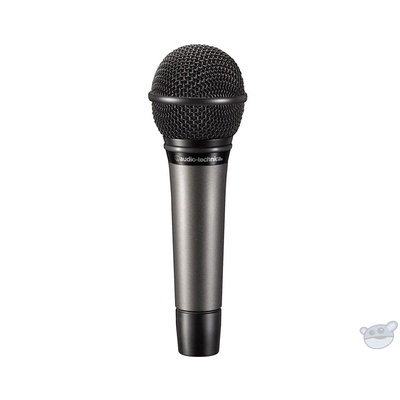 The microphone's tough exterior is sure to handle the rigours of life on the road.